This MOOC (Massively Open Online Course) is aimed at helping commencing students of all ages develop crucial academic skills like reading, writing and accessing information. This is a self-paced unit offered by OUA which is free to all. It is a great unit anyone can enrol at any time and work their way through whatever they want. There is no requirement to be enrolled in any other OUA units. Click on the link above to enrol. TAI operate a website providing educational resources, specifically targeted at Indigenous students looking to create pathways to higher education. For inspirational stories provided by Indigenous students, who have pursued a higher education and academic excellence in their field, visit this page. Although this website is predominantly aimed at CSU students, it has some very good resources for any first-in-family student. 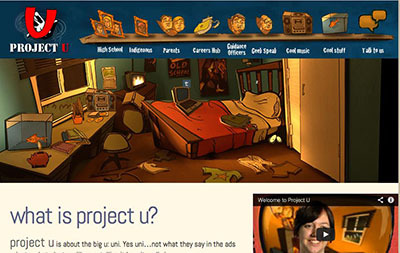 A small number of Australian universities have dedicated website for the first-in-family student, one example is the UQ site. Stories from the UK – first in the family students talking about their experiences of attending university. Useful sites from the U.S. These resources provide a range of tutorials on most aspects of academic life aimed at US college students. While some resources may not be relevant to the Australian context, it still might be a website worth looking at. Dedicated to providing advice to first-in-family students, this is complemented by a "I'm First Blog site"